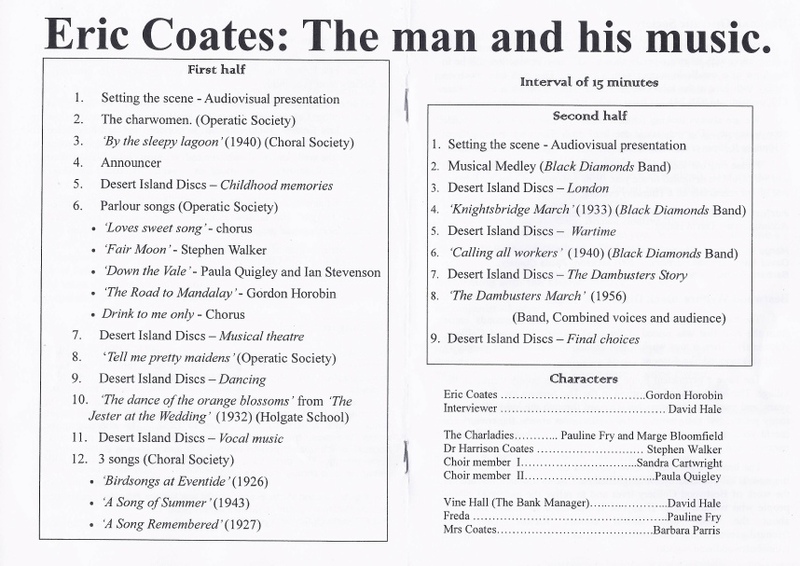 A Desert Island Discs theme. 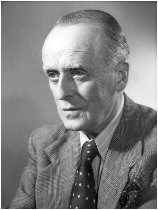 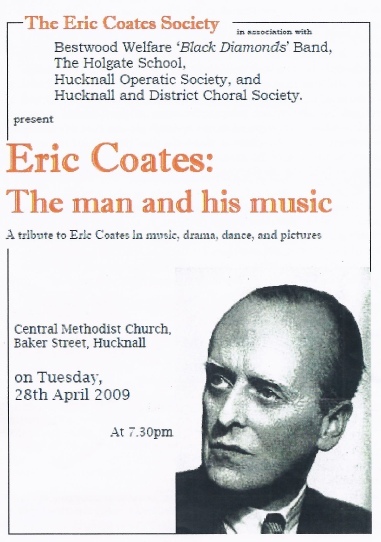 A script was written with a variety of actors playing the parts from Eric Coates’ life. 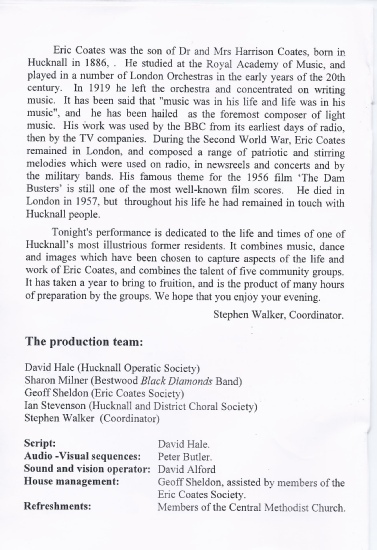 Pictures were projected onto a large screen to set the scene, and the Black Diamonds Band played a variety of tunes. 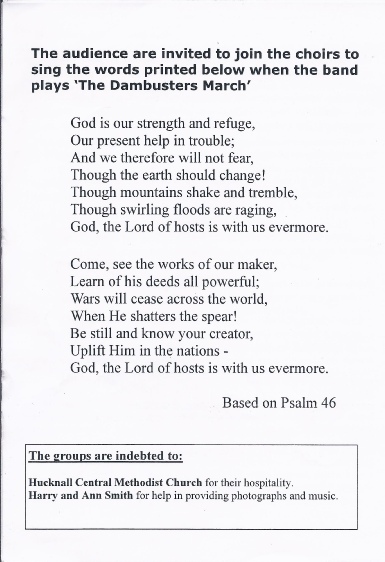 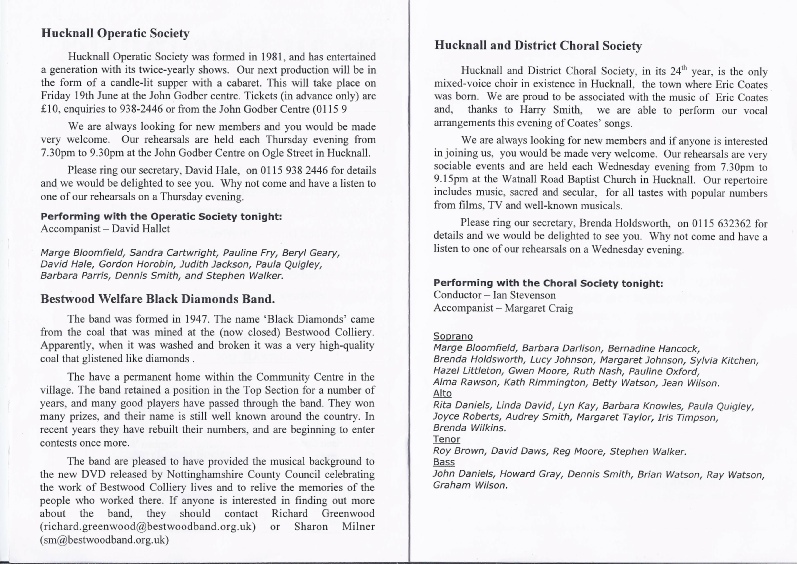 The Hucknall Operatic Society and the Choral Society sang a number of songs. 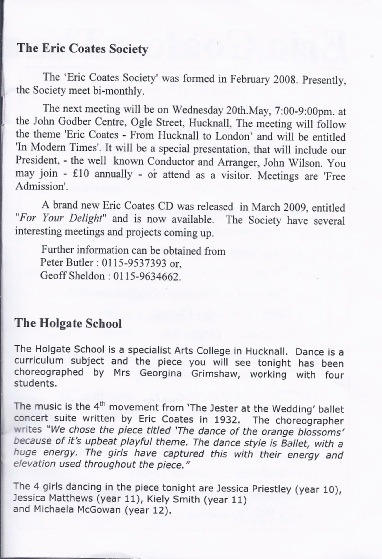 A first as far as we know , The Holgate School provided a troupe of Ballet Dancers to perform.